Castlewood is considered to be in the Conway district by virtue of it being just a few miles out from Carolina Forest on Hwy 501. For all practical purposes, it is about as close to Myrtle Beach as Wild Wing, and convenient to Hwy 544 as well. 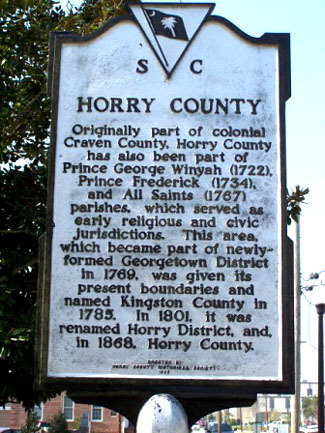 It is very near the Coastal Carolina University and Conway Medical Center, and one side borders The Witch Golf Course. The community has a country feel, without the usual pools and rules that other neighborhoods have. No HOA fee is what often draws a buyer to choose Castlewood, although the homes are nice, the lots are a good size and landscaped. Most homes were built in the late 90's and early 2000's. Homes are 3 and 4 bedrooms, and prices run from the mid $100's to around $200,000 for some of the fancier homes with pools or a view of a lake that is in the heart of the development. There are many ranch-style homes with vinyl siding, and some that have stone or brick accents. Variety is the key to Castlewood. Kids will attend Palmetto Bays Elementary, Black Water Middle School, and the much sought-after Carolina Forest High School.